From the age of about 40, men will start to develop changes associated with an enlarging prostate and may suffer from symptoms such as frequent urination, difficulty starting and a weak urine flow, urgency and incomplete bladder emptying. An enlarged prostate, known as a benign prostatic hyperplasia (or BPH), is a condition in which the prostate changes shape and size and narrows, blocking the urethra (the tube that carries urine from the bladder through the prostate). 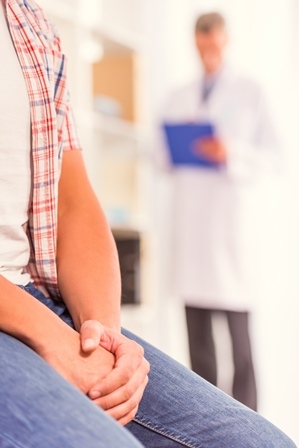 Urologist Dr Shane La Bianca from Perth Urology Clinic says symptoms associated with BPH can be difficult to ignore and can interfere with living a regular, healthy life. “Frequent urination can disrupt your sleep, as well as your partner’s, and lead to tiredness and irritability,” Dr La Bianca says. If your medications aren’t providing enough symptom relief or have unpleasant side effects, surgical therapy can be a good option. “Greenlight Laser treatment has a number of benefits including a faster recovery, less bleeding, shorter catheterisation time and shorter hospital stay,” Dr La Bianca says. GreenLight Laser Prostatectomy offers an alternative to traditional surgery, known as transurethral resection of the prostate (TURP), in which obstructing prostate tissue is removed using electro-cautery, because the risk of bleeding during the procedure is reduced. With laser therapy, a rigid laser cystoscope is inserted into the bladder and delivers laser energy to vaporise the prostate glandular tissue and allow urine to pass through freely. It can be done whilst patients remain on anti-coagulation or anti-platelet therapy, without having to stop these medications, as is traditionally the case. “Most patients experience mild discomfort such as slight burning during urination for about a week which can be managed with mild pain relief and anti-inflammatory medication,” Dr La Bianca says. Laser therapy is usually performed as a short stay procedure, under general or spinal anaesthetic. The most common risks are minor bleeding (haematuria), short-term dysuria and urinary tract infections. Talk with your doctor about whether GreenLight Laser Therapy is appropriate for you.